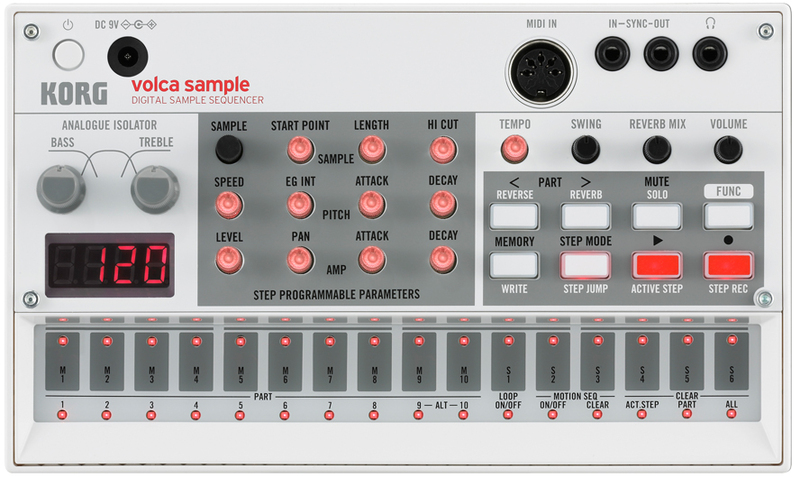 Korg music equipment has come out with a brand new piece of gear of their “Volca Family” that may spark your interest if you’re into sampling like we are, and better yet if you’re in need of a sequencer as well. Although we’re pretty stingy when it comes to samples and sounds, a huge plus is the 100 on-board factory samples which comes with some decent additions to anybody’s musical canvas. It’s also compatible with iOS (as most new gear is starting to be as the years continue) and has some decent FX included. Let’s get into the main details of the Korg Volca Sample. Alesis’ new rackmount percussion module lets you use onboard stored sounds or loaded sounds you’ve gathered externally. Just simply transfer the samples to an SD card and load them up — super easy to use. It’s a 1U unit with an online drum module with a bunch of sounds. Let’s take a look at the main features as well as our rating. Announced at Musikmesse 2014, Akai Professional has stepped up their game in terms of sampler recorders and players. The original Akai MPX8 has been a huge hit since it’s release, resulting in the make of this bad boy. They’ve now added 16 backlit pads as opposed to their previous 8 (hence the number in the model), to be able to trigger all sample sounds simultaneously. Here’s the catch and if you weren’t aware of the MPX8 capabilities: the sounds are triggered by an SD card. These pieces of music equipment are relatively different than your average sampler or MIDI device. Let’s take a look at the Akai MPX16.